Peter was born on 6 July 1948 in Newcastle NSW, the second of 3 sons to Wilfred (Deputy Chief Electrical Engineer at Shortland County Council) and Henrietta (home maker). Peter’s secondary education was at Callaghan College in Newcastle where he gained University Entrance and was School Captain in 1965. He married Jan Winton (Librarian) in 1970. Peter entered the University of Newcastle in 1966 on a Teacher’s College Scholarship. After receiving his BA(Hons) degree he resigned from the NSW Department of Education, repaying his bond in order to pursue his interest in research as a graduate student. He undertook a Master’s degree in urban studies, funded by a Commonwealth Postgraduate Scholarship, graduating in 1972. 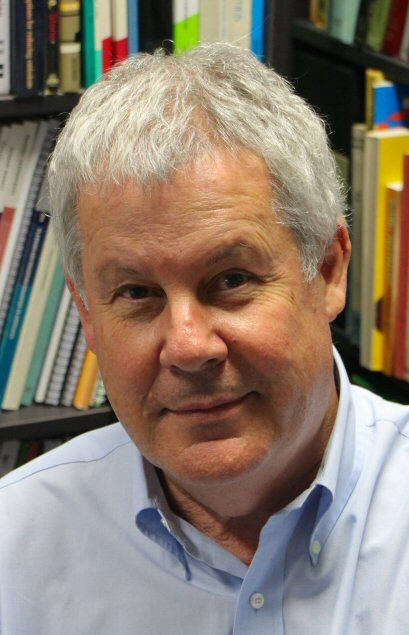 After a year as Tutor he proceeded to undertake a PhD in population and urban systems modelling at the University of Canterbury under the supervision of Professor RJ Johnston (FBA), graduating in 1977. He was awarded a CSIRO Post-Doctoral Fellowship (1979-80) to continue this research at the University of Waterloo. In 1976 Peter was appointed as a Research Scientist in the Division of Building Research at Highett. He was part of the first tranche of PhD social and economic research scientists recruited by CSIRO during the last years of the Whitlam government. He was promoted to Chief Research Scientist in 1994 and was Deputy Chief of the Division of Building, Construction and Engineering from 1999 to 2001. Providing research evidence and business case for introducing fly in-fly out scheme by mining companies in the late 1970s (when member of CSIRO’s Remote Communities Environment Unit). Lead author of the national State of Environment Report on Human Settlements (2001, 2006; co-author on first report in 1996). Team leader for creating first microcomputer-based mapping and spatial planning software (1982-88; Desktop Planning, 1998). Seconded to Telstra Research Labs as Co-Director of the Centre of Expertise in Geographic Information Systems and Analysis (1989-94); developing GIS software for telecommunications planning and marketing used to establish Sensis; and software to support high speed synchronous computing in urban design (CAD), published as Networking Spatial Information Systems, 1995. Co-convenor (with Dr JF Brotchie) of the CIB International Council for Building Research and Innovation’s Working Group on Technological Change and Urban Form that organised global workshops between 1983-1997 in Waterloo Canada, Melbourne Australia, Cambridge UK, Berkeley USA and Jakarta Indonesia, producing 5 highly cited books and a new focus for urban research on the role of information and communications technology in shaping cities. CSIRO lead scientist in founding AHURI (the Australian Housing and Urban Research Institute) in 1994 in collaboration with RMIT, Monash and Queensland Universities. It continues to operate (at time of writing) as the principal federally funded research network for housing and urban development in Australia. Director of Sustainability Program in the CRC for Construction Innovation (2000-2007); undertaking pioneering role in Building Information Modelling (Technology, Design and Process Innovation in the Built Environment, 2009).